Uninterruptible Power Supplies still need the right product to perform at their best. That’s why we’ve developed the Professional Dual Purpose. Long lasting and maintenance-free, it’s ideal for seasonal use. 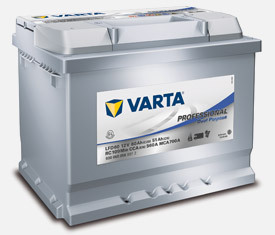 Find the perfect VARTA® battery for any application with this Usage Chart. Simply choose the machine or vehicle you want to power, and see which battery we recommend.